Carl, I’m so excited to hear about your book and to discover your blog. This is such important work and so cleverly elided almost everywhere Kate, Ellen and I wish you all the best as you continue to enrich our perspective as friend and historian. I don’t live in US where can I find your book? Do you sell it on e-bay? Sorry for the delay. 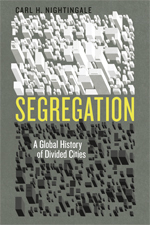 Have you been able to find a copy of Segregation?